McLendon continues to prove he is one of the best defensive ends in his recruiting class. He looks like a solid SDE in a 4-3 and also has the ability to play 3-4 OLB too. What I really like about McLendon is his motor. He is non-stop movement right after the snap. He shows good timing jumping the snap count. He has a nose for the football in run-support, does a really good job slanting through the gaps, playing with good leverage, and hustling after the ball carrier at all times. 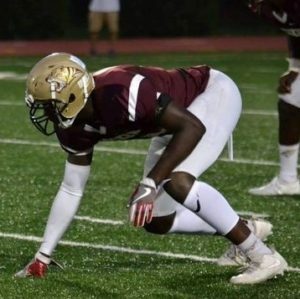 In my opinion the 2019 recruit will end up around 270 at the next level, and considering his work ethic, he should continue to improve to high level in college.